No, there is no credible evidence for a Young Earth!!! I was delighted to find the following excellent scientific information and rational conclusions disproving a Young Earth, published by Senior Research Associate Matthew S. Tiscareno on the internet. (Thank you Matthew!) This information presents verifiable scientific data which refutes the nonsense of a Young Earth. The Holy Bible very clearly teaches an Old Earth. Please read the awesome book by Dr. Max D. Younce (which provides many evidences of an Old Earth) titled, “The Truth About Evolution; Or, Don't Let Satan Make A Monkey Out Of You!” (.pdf). The Holy Bible teaches that God remodeled the earth during the 6-days of creation in Genesis chapter one, which Dr. Younce superbly explains by using irrefutable Hebrew exegesis from the Scripture in his 248-page book. Also, the theories of evolution are bogus science, not supported by either the Holy Bible nor legitimate science. Evolution is a lie. Nothing ever evolved. God created a man, a man; and an animal, an animal; and a fish, a fish, and a bird, a bird; et cetera. True science always agree with the Word of God. Notice our text verse from Psalms 102:25, which says... “OF OLD, HAST THOU LAID THE FOUNDATION OF THE EARTH.” ~by David J. Stewart, webservant of Jesusisprecious.org (November 2014). The following document is copyrighted 1999 and 2000 by Matthew S. Tiscareno. Full permission is given by Matthew to reproduce or distribute this document, or to rearrange/reformat it for other media, as long as credit is given and no words are added or deleted from the text. It is not the purpose of this paper to discuss theology, but this author firmly believes that a literal interpretation of Genesis allows for an Old-Earth view that is consistent with mainstream science. I say this only to emphasize that this paper is not intended to oppose any Christian beliefs, or to tear down anyone's faith. Rather, the purpose of this paper is to ensure that our Faith is based firmly on Truth, and not merely wishful thinking. Through the ages, many people have denied certain facts of nature because those facts did not fit into the belief system that they desired to hold to. Both Christians and atheists are commonly guilty of this error. It should be obvious that any Christian who believes that God is the ordainer and framer of this world, and that God is the initiator of all logic and scientific thought, should never take such a position. The purpose of this paper is to show that Young-Earth Creationists, however unintentionally, have in fact done this. Regardless of what we may think the Bible says, the facts of nature are also ordained by God, and it is not right deny them or to misrepresent them in order to support any particular belief system. The purpose of this paper is to set forth the facts of nature in light of the claims made by Young-Earth Creationist leaders in hope that, by better understanding the facts of nature, we will also come to a better understanding of God's greater source of revelation - the words of the Bible. Concerning References: A large number of articles from scientific journals are referenced in this fact sheet, and I strongly encourage interested readers to look at this source material. In general, these journals should be available at your local university library, and in some cases the public library. If not, you can ask your librarian about an inter-library loan, which is generally available for a nominal fee. Many journal articles are also available online, one good source for finding them is the Astrophysical Data System Abstract Service (http://adsabs.harvard.edu/abstract_service.html). All of the young-Earth claims addressed in this fact sheet can be found in books published by Young-Earth organizations. In brackets, after the title of each claim, are references indicating where the claim can be found, in case the reader would like to look at the source to better understand the Young-Earth arguments. Most references are from the 1995 version of The Defender's Bible (DB), an official ICR publication, or the 1992 version of The Illustrated Origins Answer Book (OAB) by Paul S. Taylor. Both of these are Young-Earth publications that include extensive lists of "young-Earth evidences," and both of them are still distributed by the Institute for Creation Research (the most prominent young-Earth organization), and so can be assumed to receive their approval. The references to the Defender's Bible give the page number followed by the number that the claim receives on that page. All of the arguments from the Origins Answer Book are found on pages 18-20, and are numbered from 1 to 107. I also included a few claims from the ICR Creation Online course (http://www.creationonline.org/frame.htm). Acknowledgements: Thanks to all those that have offered comments and advice for this fact sheet, including Hill Roberts, Tim Swindle, William Keel, Mike Tice, George Bendo, Adam Crowl, Kyle Witten, Marj Harmon, and Bob Stuart. Additionally, some useful lines of reasoning were suggested to me by writings of Hugh Ross, Don Stoner, and Hill Roberts, which are referenced below. Note to Reader: The most important element of this fact sheet to me is its scientific accuracy. My purpose is to investigate "young-Earth evidences" honestly and responsibly, confident that God will be glorified by the Truth regardless of its theological implications. Therefore, if you have any comments or suggestions regarding anything in this fact sheet, please contact me. My goal of clarity and accuracy can only be fully reached with the help of others who are also familiar with the material. Although I would love comments on any part of the fact sheet, I would particularly appreciate any help on the few remaining sections that are printed in italics, indicating places where the fact sheet is not yet finished. My email address is matthewt at lpl dot arizona dot edu Thanks and God bless you. "The Geologic Column Does Not Exist"
Before I begin addressing one-by-one the arguments for a young Earth, I think it is important to explain some errors that are repeatedly committed in these arguments. The first fallacy is claiming that an unexplained mystery supports the creationist view simply because science is not currently able to explain it, and the second fallacy is looking at only one side of a natural equilibrium and claiming that an unlimited build-up would occur, posing a challenge to mainstream science. The Unexplained Mystery Even in this age of scientific and technical achievement, there are many natural phenomena that do not have a satisfactory scientific explanation. If this were not so, then Science would cease to exist. We do not fully understand how charges get separated in rainclouds to produce lightning, or how river valleys were carved on the now-bone-dry planet of Mars. Yet, these mysteries do not support one viewpoint over another, they are simply areas in which more needs to be learned. The lack of a known scientific explanation does not prove that no natural explanation exists. In fact, scientists are constantly finding explanations for previously unexplained phenomena, as Science continues to work towards a greater understanding of God's Creation. Therefore, it is a fallacy to assume that a phenomenon has a supernatural cause, simply because no adequate natural explanation has yet been discovered. To demonstrate this fallacy, consider the manufacture of organic molecules. Two hundred years ago, it was thought by many that only living cells, endowed with a God-given "life force," could produce organic molecules. This idea was bolstered by the failure of all attempts to produce organic molecules synthetically, and it was eventually laid to rest when chemists finally did succeed in synthesizing organic molecules. In this case, a supernatural explanation or organic molecule formation had been advanced due to the lack of satisfactory natural explanations, and was abandoned when the natural explanation was discovered. Please note that I am not saying that all supernatural explanations are un-scientific by definition. That would be a philosophical statement of "naturalism," not a statement that can be backed up with scientific evidence. Rather, I am saying that any such claim would have to be based upon positive evidence; it is not enough simply to argue from the lack of any known natural explanation. The existence of an Unexplained Mystery is not, on its own, evidence for a supernatural explanation. Many arguments that are advanced in favor of "recent creation" are in fact based simply upon phenomena that currently lack an adequate explanation, and it is important to recognize this fallacy. For example, we may not currently understand exactly how Dr. Gentry's polonium halos were formed, but that does not support the claim that "God created them that way" any more than the former inability to synthesize organic molecules meant that only cells with a God-given "life force" could do it. In both cases, a natural explanation exists, even if we do not yet know what it is. Examples of the Unexplained Mystery Fallacy include Parentless Polonium-218 Halos, Escape of Methane from Titan, and The "Red Sirius" Mystery. Decay of Earth's Magnetic Field [DB 1506 (1); OAB 50] Since devices for measuring the Earth's magnetic field were invented a few hundred years ago, measurements have shown that the Earth's magnetic field has been steadily decreasing over those few hundred years. It is claimed that these measurements indicate that the Earth's magnetic field has been steadily losing energy ever since it formed. By extrapolating the decay backwards in time, it is then claimed that an age greater than 10,000 years is impossible. However, it is easily shown that such a simple extrapolation is not justified. Scientific instruments are not the only mechanisms that have ever existed for measuring the Earth's magnetic field. Ovens used by ancient civilizations and the igneous rocks making up the ocean floor are two of the more obvious examples. Both record the direction and strength of the magnetic field as it was at the time they were last heated, and both prove conclusively that the hypothetical exponential decay of Earth's magnetic field has not occurred (according to the young-Earth theories, the magnetic field was many times greater only a few thousand years ago, a hypothesis that is clearly at odds with the above-mentioned evidence). Instead, the evidence shows that the magnetic field has fluctuated back and forth in strength as well as direction. These fluctuations are clearly observed in places where the stratigraphy (i.e. which rocks are older than which rocks) is obvious due to either layering or distance from a sea-floor spreading ridge. The decrease measured in the past few hundred years, therefore, is nothing more than a downward trend as part of an overall fluctuation, and has no implication for the age of the Earth (for a more detailed discussion of this issue, see Thompson (1997), http://www.talkorigins.org/faqs/magfields.html). It has been proposed by Young-Earth scientists that all of the magnetic reversals recorded in the sea floor were created during Noah's Flood. There are several problems with this theory that make it physically implausible, but regardless of whether or not this theory is valid, the fact remains that a coherent Old-Earth theory exists to explain the recent decline in Earth's magnetic field strength. Therefore, that decline should not be used to argue against an ancient Earth. Cooling of the Earth [DB 1507 (40); OAB 25] This claim is known as "Kelvin's age of the Earth", and it is taught in introductory physics and geology classes as a classic example of a great calculation that didn't take everything into account. A hundred years ago, the eminent scientist Lord Kelvin assumed that the heat now escaping from the Earth must have come from gravitational contraction, the most powerful energy source known at the time. Calculating the gravitational energy available, and the cooling time, he derived a maximum age of the Earth: 24 million years. However, the powerful energy that could be released by radioactivity was not known until late in Kelvin's career. Calculations using the amount of radioactive materials known to exist in the Earth's crust show that the energy available is in good agreement with a cooling time of 4.6 billion years. Although Kelvin was in fact one of the great scientists of his time, he simply did not have all of the relevant information available to him in the late nineteenth century. Kelvin's calculation was shown one hundred years ago to be incomplete, giving a misleading answer, and it is rather disingenuous for young-Earth proponents to include it in their publications (as recently as 1995) as if it were still a valid argument. Shrinking Sun [OAB 94] This claim was made in 1979 by J.A. Eddy and A.A. Boornazian (Science News, v.32, no.9, pp.17-19 (Sept 1979)), who analyzed 120 years of Sun measurements from the Greenwich Observatory in London. Eddy and Boornazian claimed that these measurements indicated that the Sun is shrinking at a rate of about 2 arcseconds per century (an arcsecond is a measure of angles, equal to 1/3600 of a degree). At such a rate, the Sun would shrink down to nothing in only 200,000 years, so this shrinking obviously could not be going on steadily for several billion years. However, even if these measurements were accurate, it would not be much of a problem for scientists because it could easily be explained by a shift in the Sun's fusion process which would cause a temporary change in size. In fact, Eddy and Boornazian's research was motivated by a desire to investigate the possibility of such a shift, which is an important point, because it shows that the shrinking Sun claim was not discredited in order to "preserve evolutionary timescales." However, these measurements were in fact shown to be incorrect only a year after they were first published. I.I. Shapiro (Science, v.208, pp.51-53 (4 April 1980)) analyzed measurements of transits of the planet Mercury across the solar disk from 1736 to 1973, and showed that the size of the Sun has remained constant during that time within 0.3 arcseconds. Parkinson, Morrison, and Stephenson (Nature, v.288, pp.548-551 (11 Dec 1980)) re-analyzed the Greenwich data from 1715 onward, taking into account the changes in instrumentation over that period, changes in the transparency of the atmosphere, and differences in the person making the measurements. They showed that the uncertainty in Eddy and Boornazian's data is much too large to support their claim. Even J.A. Eddy himself was so convinced by these refutations that he never again referred in print to his research on this subject. In summary, the claim of a shrinking Sun was refuted less than a year after it was published, and should not be used as evidence for the age of the Solar System. Fusion in the Sun [OAB 95] It is claimed that the Sun might not be operating by thermonuclear fusion at all, in which case the Sun would not have an energy source powerful enough to last for 4.5 billion years. The main reason for thinking this was that the amount of neutrinos (a sub-atomic particle) coming out of the Sun was only about a quarter of what was theoretically expected. Firstly, the existence of a significant flow of neutrinos cannot be explained by any method other than nuclear processes; so even though the theory needed refining, it was extremely over-zealous to claim that the difficulty disproves fusion in the Sun (to be fair, some people merely claimed that the lack of neutrinos showed that fusion could not account for all of the Sun's energy). But secondly, the necessary adjustments have now been made to the theory due to the recent experimental proof that the neutrino is not a massless particle like a photon, but instead it has a tiny mass like an electron does. With this adjustment, nuclear theory now correctly accounts for the Sun's neutrino flow, and there is no reason to doubt that nuclear fusion is the source of all the Sun's energy. Accumulation of Dust on the Moon [DB 1507 (38); OAB pp.17-18] This was formerly a widely-used young-Earth claim, but it has now been discredited. Nonetheless, it is still sometimes repeated in young-Earth circles. One of the first estimates of dust expected on the Moon was made in 1960 by Hans Pettersson. Pettersson estimated the influx of space dust by standing on top of a mountain with a device used to measure smog levels. By assuming (incorrectly) that all of the nickel dust he detected came directly from outer space, Pettersson arrived at a very large estimate of the amount of space dust falling on the Earth (and the Moon). When the Apollo landers found that the amount of dust on the Moon was much less than suggested by Pettersson's measurements, some young-Earth advocates claimed this proved that the Moon was young. Not long after Pettersson, however, the influx of space dust was measured by satellites. It has been measured several different ways now, and is known to be almost 1,000 times smaller than Pettersson thought. In fact, there is no discrepency whatsoever between the influx of space dust and the amount of dust found on the Moon's surface. Nowadays, most of the more responsible young-Earth advocates have ceased to use this claim. For example, Snelling and Rush (Creation Ex Nihilo Technical Journal, v.7, pp.2-42 (1993)) not only explain why the moon-dust argument is untenable, they also refute the commonly-repeated myth that Apollo scientists were afraid that their landers would sink into a deep dust layer. Moon Rock Viscosity [OAB 56] In a paper published in a young-Earth journal (Creation Research Society Quarterly, v.20, pp.105-108 (Sept 1983)), former young-Earth advocate Glenn R. Morton attempted to calculate the time it would take for lunar craters to be erased by the slow flow of rock. The central parameter in the calculation is the viscosity of the rock (its resistance to flow). As a rock's temperature approaches its melting point, its viscosity becomes low enough (although still a trillion trillion times higher than that of honey) for some flow to be observed over long time periods. This phenomenon allows, for example, convection in the Earth's mantle, which is crucial to Plate Tectonics, and in turn to many geophysical processes. Viscous flow can also be observed in many other solids, from glass to Silly Putty, but always at temperatures that are rather close to the melting point of the solid. Morton attempted to apply this process to rocks on the surface of the Moon. However, by failing to understand viscosity's extreme dependence on temperature, he grossly underestimated the viscosities of lunar rocks. Morton assumed that the viscosity of the Moon's surface rocks would be comparable to the highest measured rock viscosities (those of Earth's mantle). However, since a rock's viscosity increases exponentially as its temperature falls (and the Earth's mantle is very hot while the Moon is very cold), the viscosities of moon rocks are exponentially higher than the viscosities in Earth's mantle. In fact, moon rock viscosities are so high that they are practically infinite, meaning that no flow will occur (i.e., rocks are more likely to break or fracture than to flow). Since the flow of rock is basically impossible at the temperatures that exist on the Moon's surface, there will be no relaxation of lunar craters, and thus no problem with the age of the Moon. Deceleration of Earth by Tidal Friction [DB 1507 (39); OAB 60] It is claimed that tidal interactions between the Earth and the Moon are causing the Moon to move away from the Earth, and the Earth to rotate more slowly. This much is true, and in fact paleontological studies of ancient corals and stromatolites has confirmed that the Earth did rotate faster in the past, resulting in more than 365 days in a year. It is also true that such a faster rotation would have caused a much greater equatorial bulge in the past than currently exists. The fallacy is the assumption that such a bulge would have remained for us to observe today. The Earth's mantle, made up of rock subjected to high temperatures and pressures, acts like a fluid over long time periods -- it does not hold its shape over billions of years. The current equatorial bulge is very close to what you would expect to be produced by the current rotation rate, although it is slightly larger because the Earth has not completely relaxed from previous times when it rotated faster. A related question concerns the rate at which the Moon is receding from the Earth. If you simply extrapolate the Moon's orbit backwards in time, assuming that the rate at which it is currently receding has not changed, you find that the Moon would have been close enough for the Earth's gravity to pull it apart only 2 billion years ago. However, K.S. Hansen described a very plausible answer to this question (Reviews of Geophysics and Space Physics, v.20, no.3, pp.457-480 (1982)). He pointed out that the current Earth-Moon configuration contains a resonance which increases the efficiency of the tidal interactions that are causing the Moon to recede, and that therefore the Moon is currently receding faster than usual. In his computer models, by carefully keeping track of the changing tidal parameters as the Moon spirals away from the Earth, Hansen determined that the Moon would have been at an acceptable distance from the Earth 4.5 billion years ago (for a more detailed discussion, including more recent research based on Hansen's breakthrough, see Thompson (1999), http://www.talkorigins.org/faqs/moonrec.html). Incidentally, a misunderstanding of how "leap seconds" work has led some people to grossly overestimate the rate of change of Earth's rotation. The U.S. Naval Observatory, along with other international agencies, adds a "leap second" to the calendar whenever they determine that Earth's rotation is out-of-sync with their atomic clocks. Properly understood, the rate of about one "leap second" every two years does not mean that Earth's rotation is slowing by a half-second every year. Rather, it means that Earth's rotation is consistently a tiny fraction slower than it was when the length of the second was rigorously defined, a discrepency that builds up over a year to a difference of half a second. If Earth's rotation were really declining measurably, we would expect to see "leap seconds" become more and more frequent, since every year the discrepency in year-length would be greater than it was the previous year. In fact, we do not see this. "Leap seconds" are due, not to a consistent decline, but to fluctuations in Earth's rotation rate about a mean value, which are caused by entirely different processes and have little long-term effect. On the other hand, the consistent deceleration of Earth by the Moon is so slow that it cannot be directly measured (physical calculations put it at about one second every 70,000 years), although it is corroborated by fossil corals that show more days per year in the past. Planetary Diversity [ICR Creation Online] Our Solar System is quite diverse, with its planets and satellites and other bodies having extremely different compositions and histories. It is claimed that, if our Solar System was formed from a single cloud of dust, then all planets should have the same composition. This is akin to saying that gasoline and plastic should be similar because they both come from crude oil. Even though the bodies of the Solar System came from the same source, they have had radically different histories, due to their different locations and the conditions to which they have been subjected. For example, the higher temperatures at the locations of the inner planets caused them to lose their hydrogen and helium, while the lower temperatures of the outer Solar System allow for the possibility of icy and gaseous bodies. For another example, tidal forces can cause satellites that are closer to their planets (such as Io, Europa, and Enceladus) to be geologically active, while nearby satellites (such as Callisto and Rhea) have been relatively quiet. On the other hand, many similarities also exist in the Solar System, such as the similar heavily cratered surfaces of the Moon, Mercury, Callisto, and many other bodies. The diversities and similarities in our Solar System do make Planetary Science an interesting and exciting field, but they do not present an overall problem for scientists. Hydrogen and Helium in Terrestrial Planets [ICR Creation Online] It is claimed that prevailing theories of Solar System formation cannot account for the lack of hydrogen and helium in the planets Mercury, Venus, Earth, and Mars. The simple answer is that these light gases were in fact present when the terrestrial planets were formed, but they escaped into space for two reasons. The first reason is that the terrestrial planets are closer to the Sun, and the higher temperatures made the light gases more energetic, and therefore more likely to escape. The second reason is that these four planets are smaller than the outer gas giants, and therefore they did not have enough gravity to hold on to these energetic light gases. Rotation States in the Solar System [ICR Creation Online] Almost all bodies in the Solar System orbit and rotate in the same direction, although several exceptions exist. This predominant direction is called prograde (if you were to look down on the Solar System from the Sun's North Pole, it would be counter-clockwise), and the opposite direction is called retrograde. Some young-Earth advocates claim that, if the Solar System really condensed from a dust cloud as is generally accepted, then all rotations should be prograde. These people claim that the exceptions to the predominant direction show that the prevailing theories of Solar System formation are invalid. Others assert that, since rotation states are thought to be largely influenced by impacts, rotation states should be randomly distributed (approximately half prograde and half retrograde). This second group claims that the existence of a predominant direction of rotation argues against the prevailing theories. Obviously, these two groups are making similar claims, but their justifications for saying so oppose each other. It is most likely that the second group is at least partly correct: rotation states are greatly influenced by impacts, and we would expect them to be close to random. However, this is not known for certain. It is also important not to be misled by planets which have definitely not had their rotations affected by impacts. Two planets (Jupiter and Saturn) are almost entirely gas, and thus impacts would have very little effect on their rotation. Therefore it is no surprise that Jupiter and Saturn have prograde rotation. A third planet, Pluto, has a rotation state that is the result of tidal resonance with its moon Charon. Whatever Pluto's original rotation state may have been, it would have been inevitably dragged by Charon into its present state, in which it always keeps the same face towards Charon (similarly, almost all moons in the Solar System have had their rotation states defined by tidal forces, not by impacts, which explains why they are predominantly prograde). Discounting these three, we are left with 6 planets, two of which (Venus and Uranus) have retrograde rotation. Therefore, the claims of the second above-mentioned group (that rotations should be random) are most likely true, while their objections (that there is a predominant direction) is easily explained by statistical fluctuation and the influence of tides. Also, the objections of the first group (that all rotations should be in the same direction) are answered by considering the influence of large impacts and tides during the early history of the Solar System. Orbits in the Solar System [ICR Creation Online] Almost all bodies in the Solar System orbit and rotate in the same direction, although several exceptions exist. This predominant direction is called prograde (if you were to look down on the Solar System from the Sun's North Pole, it would be counter-clockwise), and the opposite direction is called retrograde. It is sometimes claimed that, if the Solar System really condensed from a dust cloud as is generally accepted, then all orbits should be prograde without exception. A closer look shows those bodies that do have retrograde orbits (such as comets and Neptune's moon Triton) show other signs that they are not in their original orbits. These signs include high inclinations and eccentricities (other indicators of irregularity in an orbit), compositions that are different from other nearby bodies, and in some cases (such as Triton), indications of extreme tidal heating due to the body's being forced into a new orbit. The conclusion from these observations is that these objects were formed elsewhere in the Solar System (presumably with prograde orbits), and then were thrown into their present orbits by later events (See Maximum Life of Comets, below). So the theory that all Solar System bodies were formed with prograde orbits remains intact. Maximum Life of Comets [DB 1507 (32,33); OAB 17,18] The claim is that comets that pass close to the Sun (the comets we see) cannot have survived for 4.6 billion years in their present orbits. This is not necessarily true for some comets with very long orbital periods, but generally the point is a valid one. However, this claim is a One-Sided Equation that considers the rate at which comets are destroyed without considering how the comet population is replenished. The population of comets is kept in equilibrium by new comets which are continuously introduced into our solar system from beyond Pluto's orbit. When they are far away from the Sun's deteriorating effects, comets can last indefinitely. Comets that are in orbits which bring them close to the sun have not been in those orbits since the formation of the solar system, rather they were perturbed into a close-encounter trajectory by some larger body (e.g. a planet or star or even another comet). Based upon observed comet orbits, scientists have concluded that they come from two major comet sources: the Kuiper belt, a disk-shaped cloud just beyond the orbit of Neptune; and the Oort cloud, a spherically-shaped cloud that may stretch for as far as 1 light-year from the Sun. One piece of evidence favoring this theory is the fact that comets, unlike everything else in the Solar System, have retrograde orbits just as commonly as they have prograde orbits (See Orbits in the Solar System, above). This is strong evidence that comets are not in their original orbits, that rather their orbital directions were picked up randomly when they were thrown into their present orbits, in keeping with the Oort/Kuiper theory. However, due to their small size, low reflectivity, and great distance from the Sun, these objects are nearly impossible to detect. But since the Oort/Kuiper theory is coherent and explains all of the evidence amply, it alone should be sufficient to dispense with the young-Earth objection concerning comet lifetimes. Recently, however, our telescope technology has improved to the point where we no longer need to rely on theory alone to deal with this objection. Since 1995, over 50 Kuiper belt objects have been discovered, dramatically confirming the Oort/Kuiper theory of comet origins. Kuiper belt observations continue to be an ongoing frontier of Planetary Science. Influx of Small Particles to the Sun [DB 1507 (34); OAB 23] The claim is that Poynting-Robertson drag, an effect which causes interplanetary dust to fall into the Sun, should have swept the solar system clear of debris if it were old. In reality, the debris is constantly replenished by pieces of comets stripped off by solar wind, as well as other sources. This replenishing source is summarily dismissed by the authors of this claim however, who reason that comets cannot have existed for billions of years. See previous claim (Maximum Life of Comets). Maximum Life of Meteor Showers [DB 1507 (35); OAB 54] It is true that the particles now causing meteor showers on Earth could not have been there 4.6 billion years ago and survived to the present day. However, meteor showers are known to be caused by large clusters of debris shed by comets, and are replenished by periodic comet flybys. For example, the well-known Perseid meteor shower, occuring every August, is known to be caused by debris from the comet Swift-Tuttle, and occurs every time the Earth passes through Swift-Tuttle's orbit. The shower is even observed to be more dense if the comet has passed by recently. This claim thus shifts to the survival of comets to the present day (See Maximum Life of Comets). Lack of Sorting in Meteoroids [OAB 53] It is claimed that the Poynting-Robertson effect (see Influx of Small Particles to the Sun, above) should have had sufficient time to sort meteoroids by size, if the Solar System were old. But of course, meteoroids (which are interplanetary particles that can fall into Earth's atmosphere and become meteors) are being constantly replenished by comets (see Maximum Life of Meteor Showers, above), thus maintaining a random distribution. Interstellar Comets [OAB 19] The claim is that no comets have ever been detected to pass through the solar system on an interstellar trajectory (that is, on a trajectory to escape the Sun's gravity, which would indicate that they came from interstellar space). Although this is true, and scientists do not understand the reason, the claim that this supports the young-Earth position falls victim to the Unexplained Mystery Fallacy. Heat of Jupiter and Saturn [OAB 40,76] Jupiter and Saturn give off a good deal more heat than they absorb from the Sun, therefore there must be some additional source of heat within these two planets. The primary solution to this problem is that, unlike the Earth (see Cooling of the Earth, above), Jupiter and Saturn are so large that they have not had time to completely get rid of the heat produced by gravitational formation. Gravitational heat and radioactive decay together account for very nearly all of the heat given off by Jupiter, and most of the heat given off by Saturn. It is thought that any remaining discrepency is explained by helium rainout. Saturn's lower temperatures, along with the relative lack of helium in its atmosphere, support the theory that helium rainout has been more important in Saturn than Jupiter. Furthermore, even if the aforementioned explanations are not sufficient to account for Jupiter and Saturn's heat, we are simply left with the harmless Unexplained Mystery Fallacy. Volcanoes on Io [OAB 58] The claim is that the existence of volcanoes on Io, Jupiter's closest large moon, demonstrates that the moon has not cooled off from the creation event, and that it therefore must be young. The fact is, however, that we know exactly what the heat source is which supplies Io. Because Io is so close to Jupiter, there are tremendous tidal forces which heat Io's interior by friction. That is why Io is the most volcanically active body in the solar system. In fact, calculations based on tidal heating predicted Io's volcanism before the Voyager spacecraft arrived at Jupiter and discovered it (see Peale, Casson, and Reynolds, Science, v.203, pp.892-894 (1979)). Escape of Methane from Titan [DB 1507 (37); OAB 59] The methane in the atmosphere of Saturn's moon Titan is constantly being converted into other organic molecules. Since the hydrogen gas produced by these reactions is lost into space, these processes are not reversible and the methane is permanently lost. If there were nothing replacing the methane, and if the rate of loss were constant, then all of Titan's present methane supply would disappear in about 10 million years. However, this does not indicate that Titan is less than 10 million years old. Using exactly the same reasoning, one could measure the amount of water vapor in the Earth's atmosphere, and the rate at which the water is lost as rain, and thus derive a maximum age of the Earth. But of course such a calculation would be silly because the Earth's atmospheric water vapor is resupplied by the oceans. It is very likely that the Titan question has a similar explanation -- surface lakes or underground reservoirs of liquid hydrocarbons (including methane) are very likely to exist on Titan, given its cryogenic temperatures and the abundance of such compounds in its atmosphere. Such reservoirs at the surface would easily explain the continuing presence of methane in Titan's atmosphere. However, Titan's opaque atmosphere has kept our knowledge of its surface quite minimal, so no one can say for sure whether such reservoirs exist. The Cassini spacecraft, due to arrive at Saturn in 2004, should shed a great deal of light on this Unexplained Mystery. The problem of Titan's methane is a simple case of insufficient data, not an indication that the Solar System is young. Instability of Saturn's Rings [DB 1507 (36); OAB 77] Like the question of Titan's methane, the question of the instability of Saturn's rings is an Unexplained Mystery that arises primarily as a result of insufficient data. Saturn's ring system is extremely complex, and we have had very few opporunities to study it up close (Pioneer 11 and the two Voyager spacecraft were all brief flybys with limited instrumentation). At our present state of knowledge, it is true that we do not know how Saturn's rings could have remained stable for longer than 10 to 100 million years. There are two main possible solutions to this problem: either the secret of the rings' stability is yet to be discovered, or the ring system is in fact much younger than Saturn itself. The second possibility is intriguing: the rings of giant planets may be cyclical, being regenerated by material that strays to near and is pulled apart by the planet's gravity, and then dissipating again over time. In fact, if Saturn's rings are due to a relatively recent such event, it would explain why Saturn is the only one of the four giant planets to have such a large ring system. Whatever the solution to this problem may be, we should learn a great deal about it from the Cassini spacecraft, due to arrive at Saturn in 2004. And in any case, even if it does turn out that Saturn's rings are relatively young, there is no reason why such a discovery should have any implication for the age of Saturn itself, much less the age of the Solar System or the Universe. Clean Surfaces of Saturn Ring Particles [OAB 77] It is claimed that the fresh-looking surfaces of particles in Saturn's rings demonstrate a young age. This may be due to the dislodging of older material from the particle surfaces by the constant jostling and colliding in Saturn's densely-populated ring system. Or this may be another indication that Saturn's rings are in fact much younger than Saturn itself, having been created by relatively recent destruction of an icy body by Saturn (see Instability of Saturn's Rings). In either case, this observation has no implications for the age of the Solar System. Supernova Remnants [ICR Creation Online] This argument comes from an article by Canadian young-Earth advocate Keith Davies (http://www.creation.on.ca/cdp/snrart.html), who claims that astronomers do not observe enough supernova remnants (SNRs) in our Galaxy to justify an age greater than 7,000 years. Davies assumes that SNRs will remain visible for 1 to 6 million years after the supernova event. In fact, although they may in fact continue to exist for that length of time, they become rapidly more difficult to detect as time passes. In the years following a supernova event, the remaining gases spread out, becoming thinner and thinner. They also become distorted by the interstellar medium (ISM), and become difficult to observationally distinguish from the ISM. So, even though SNRs can continue to exist for a few million years, most only remain detectable for 20,000 to 120,000 years, depending on the size of the supernova event and other factors. D.A. Leahy and Wu X. (Publications of the Astronomical Society of the Pacific, v.101, pp.607-613 (June 1989)) discuss the various effects limiting the detectability of SNRs. The remaining discrepency between observation and Davies' predictions is accounted for by various minor errors in Davies' paper. For a more detailed discussion of Davies' claims, see Moore (2000), http://www.valinor.freeserve.co.uk/supernova.html. Incidentally, Davies also notes that no third-stage SNRs (SNRs that have been expanding for more than 120,000 years) have been detected in the Galaxy. As stated above, this is because most SNRs are too spread out by that time to be detectable. However, some third-stage SNRs in other galaxies come from supernova events that were so large that the SNRs are still detectable. One known as SNR 0450-709, in the Large Magellanic Cloud, is 340 light-years across, and has been expanding for several hundred thousand years (see T.W. Jones et al, Publications of the Astronomical Society of the Pacific, v.110, pp.125-151 (Feb 1998)). The existence of such third-stage SNRs is inconsistent with the young-Universe hypothesis. Galaxy Spirals [OAB 32] The claim is made that galaxies would not have coherent spirals if they were not young. However, more recent research has shown that the concentration of mass formed by a galaxy's spiral arm forms a "density wave," whose gravity causes stars to continue to congregate in the wave and thus to perpetuate the spiral arm. Stars move into and out of the density wave, in the same way that water molecules move into and out of an ocean wave at the beach, yet the wave itself maintains its shape. Detailed calculations have shown that density waves can be stable over extremely long periods of time, so the continuing existence of spiral galaxies does not place any limit on the age of the Universe. Large Stars [OAB 86] It is well-known to astronomers that larger stars have much shorter lifespans than smaller stars, in some cases less than a billion years. The claim seems to be that large stars, which are characteristically short-lived, should not exist in an old Universe. Of course, the explanation for this is simple if one recognizes the ongoing formation of new stars, and the real issue here is simply whether or not new stars are formed. Young-Earth advocates complain that star formation has not been observed, but this is not really true. Although the complete process of star formation cannot be observed on a single star because the process is so slow, the physics of star formation are well understood (in fact, they are simpler than the physics of raindrop formation), and stars are observed in every stage that is predicted by theory. In fact, in the past few years, the Hubble Space Telescope and other advanced telescopes have observed stars in stages of formation that had previously been known only as theoretical predictions. Notwithstanding complaints about the lack of certain observations which are impossible anyway, a robust and coherent theory exists for star formation, and therefore the existence of new stars should not be cited as if it were a challenge to the age of the Universe. Hydrogen in the Universe [OAB 38] Hydrogen throughout the universe is being converted into helium without a proven generator of hydrogen to replace it, yet great amounts of hydrogen exist throughout the universe. This claim is true, but proves nothing more than that even more hydrogen existed in the past than exists now. There is no discrepancy. Mass of Star Clusters and Galaxy Clusters [OAB 29-31,87] It is claimed that many galaxy clusters do not have enough mass to hold themselves together, so that many of them should have drifted apart by now if the Universe is old. Also, it is claimed that "field galaxies" (galaxies that are not part of a galaxy cluster) should exist in an old Universe but do not. The first objection is easily answered by noting that not all stars or galaxies that appear to be in close proximity are actually gravitationally bound. A star or galaxy could simply be passing through a neighboring cluster, and thus it would be no surprise to observe that it is moving too fast to be gravitationally bound to the cluster. Also, the existence of dark matter (for which even further observational evidence was announced as of 30 April 2001) causes clusters to be more massive than they appear, and thus to have enough gravity to hold stars or galaxies at higher velocities. For example, similarly too-fast velocities are observed in spiral galaxies, where the stars show every sign of being in stable orbits. This is almost certainly due to extra mass in the galaxy comprised of dark matter. An excellent discussion of dark matter was written recently by V. Rubin (Scientific American Presents, v.9, no.1 (Spring 1998), or http://www.sciam.com/specialissues/0398cosmos/0398rubin.html). The second part of the objection (the lack of field galaxies) is simply incorrect. Field galaxies are well-known to astronomers, and are an object of ongoing study. An Expanding Cloud of Interstellar Gas [DB 1507 (31); OAB 33] This claim focuses on a paper by V.A. Hughes and D. Routledge (Astronomical Journal, v.77, pp.210-214 (April 1972)) announcing the discovery of a ring of gas expanding from a center near the Sun. According to the observations of Hughes and Routledge, the gas cloud is most likely the result of a type-III supernova occuring about 65 million years ago. The authors make no mention of, or claim regarding, the age of the Earth or the Universe, although they do speculate that radiation from this supernova may have had something to do with the mass extinctions, including that of the dinosaurs, that occurred about 65 Myr ago (more recently, however, convincing evidence has been discovered showing that an impact, not radiation, was responsible for that extinction). Despite the absence of any such claim by its authors, both DB and OAB cite this paper, without comment, as limiting the age of the Earth to 60 million years. However, there is absolutely no reason to believe that the Earth must be younger than the supernova that created this cloud of gas. The supernova would have been several hundred light-years from the Earth, and despite Hughes and Routledge's speculation that it may have had some effect on terrestrial life, it would not necessarily have had any effect on the Earth at all. Decay of Thorium-232 in Stars [OAB 97] A conundrum was proposed in 1987 by H.R. Butcher (Nature, v.328, pp.127-131 (9 July 1987)), who announced that there were inconsistencies between his observations of the amount of Thorium-232 in certain stars, and the accepted ages of those stars. Although some young-Earth advocates cite Butcher's work as casting doubt on standard astronomical chronologies, what was really occurring was simply working the bugs out of a new dating method. Butcher's 1987 paper was part of his pioneering work in nucleocosmochronology, the science of determining the age of stars by measuring the amounts of heavy elements produced in their cores, but his anomalous results were simply due to the fact that he had not yet perfected the method. As is pointed out in a paper by J. Westin et al (see page 784 of Astrophysical Journal, v.530, pp.783-799 (20 Feb 2000)), the spectroscopic signature of Thorium-232 is difficult to isolate from that of certain other metallic species, and therefore Butcher's method can only be accurately performed on stars that are severely depleted in metals, so that the Thorium dominates the spectral signature. There are also other important factors in perfecting the method of nucleocosmochronology, and more technical discussions of Butcher's paper can be found in papers by Morell, Kallander, and Butcher (Astronomy and Astrophysics, v.259, pp.543-548 (1992)), and by Francois, Spite, and Spite (Astronomy and Astrophysics, v.274, pp.821-824 (1993)). Also, there is a less technical brief review of nucleocosmochronology by C. Sneden (Nature, v.409, pp.673-675 (8 Feb 2001)). In conclusion, the new dating method announced in Butcher's 1987 paper is a good one, and has sparked a great deal of profitable research since that time. The anomalous ages given in the 1987 paper are simply due to bugs in the method that Butcher had yet to work out. Since those difficulties have now been overcome, the original 1987 paper should not be cited as evidence against standard astronomical chronologies. The "Red Sirius" Mystery [OAB 83] Sirius, the brightest star in the night sky, is known from modern observation to be white in color. However, many texts from ancient astronomers (although not all) indicate that they saw Sirius as red. The "red Sirius" mystery has puzzled scientists for decades, and no completely satisfactory answer has yet been formulated. One answer that has been proposed is that Sirius' small companion star (known as Sirius-B), which is currently a white dwarf, may have been a red giant star when the ancients were observing 2,000 years ago. The main problem with this hypothesis is that the transition from red giant to white dwarf is thought to take about 10 million years. Some young-Earth advocates have latched onto the red-giant explanation of the "red Sirius" mystery as the correct one, and have then gone on to claim that it is evidence against established "evolutionary" theories of astronomy. The first problem with this claim is that it is not simply "evolutionary theories" but the laws of physics themselves that challenge the transition from red giant to white dwarf in only 2,000 years. The laws of thermal physics make it unlikely that the rapid change in temperature required could have taken place in such a large body in such a short period of time. Also, red giants, being much more massive than white dwarfs, would have to lose most of their mass in such a transition, and would have left behind large clouds of gas (known as "nebula") surrounding Sirius. No such clouds of gas exist. Recognizing the physical evidence against this claim, many young-Earth advocates no longer use it. In reality, the "red Sirius" mystery is just that: It is an Unexplained Mystery that continues to puzzle scientists, but it is not evidence for a young Universe. Incidentally, a good discussion of the various proposed explanations of the "red Sirius" mystery was recently published by D.C.B. Whittet (Monthly Notices of the Royal Astronomical Society, v.310, pp.355-359 (1999)). Helium-4 in the Atmosphere [DB 1506 (8); OAB 35] It is claimed that the atmosphere's level of Helium-4 (which is created by radioactive decay) should be much higher if radioactive decay has been going on in the Earth's crust for 4.6 Gyr. The calculation behind this claim assumes that helium escapes by a simple thermal-gravitational process, as it does from planets without large atmospheres. In reality, the Earth's magnetic field causes it to give off a stream of particles from the poles, in a process identical to the formation of the solar wind. This "polar wind" carries atmospheric particles away from the Earth, and is primarily responsible for removing Helium-4 from the atmosphere at a faster rate than gravitational escape alone would do (see page 8 of D.M. Hunten, Icarus, v.85, pp.1-20 (1990)). Furthermore, if one truly wanted to use noble gas abundances to determine a date for Earth's atmosphere, a much better method would be to use Argon-40 rather than Helium-4. Argon-40 is also created by radioactive decay, but because it is much heavier than Helium-4, it does not escape from the atmosphere at any appreciable rate. H.A. Shillibeer and R.D. Russell attempted to date the atmosphere precisely this way (Geochimica et Cosmochimica Acta, v.8, pp.16-21 (1955)). Although this is not the most accurate dating method, due to uncertainties in the rate at which Argon-40 enters the atmosphere and other outstanding questions, Shillibeer and Russell did arrive at a date in generally good agreement with with the accepted age of the Earth. In conclusion, the polar wind emanating from Earth's upper atmosphere is the main reason that there is less Helium-4 in the atmosphere than would otherwise be expected, but from looking at heavier radiogenic gases that do not escape gravitationally, it is clear that there is no discrepency between atmospheric abundances and the age of the Earth. Abundance of Oxygen in the Atmosphere [OAB 67] It is pointed out that the present quantity of oxygen in Earth's atmosphere could be generated by plants in 5,000 years. That may be true, but this One-Sided Equation fails to account for processes that remove oxygen from the atmosphere, most notably the breathing of animals. The balance between plant photosynthesis (which turns carbon dioxide into oxygen) and animal breathing (which turns oxygen into carbon dioxide) has kept the amount of Earth's oxygen in equilibrium for a long time. Submarine Oil Seepage into the Ocean [DB 1507 (28); OAB 66] This claim focuses on a paper by R.D. Wilson et al (Science, v.184, pp.857-865 (24 May 1974)). Wilson summarizes what was then known about the rate of natural petroleum seepage from underground deposits into the ocean, then makes a very approximate estimate of the worldwide rate of seepage. After comparing his seepage rate to estimates made by others of the amount of oil available for seepage, Wilson concludes that the present rate of seepage could be maintained for at least 50 million years. The young-Earth publications, such as DB and OAB, therefore claim that this 50 million years is a limit on the age of the Earth. However, in his very next sentence, Wilson points out that the reservoir of oil available for seepage is actually greater than what his colleagues had estimated, due to deposits at greater ocean depths that the previous estimates had not included, and thus there is no difficulty in sustaining the present rate of seepage back into the Mesozoic era (the time at which most of the oil was formed). Wilson also emphasizes that his estimate is an extremely rough one, and that there is no evidence that past rates of seepage are the same as at present. To summarize, 1) The estimate of 50 million years, quoted by young-Earth advocates, is not Wilson's final estimate but a much younger one. 2) Wilson himself cautions that his estimates are extremely rough. 3) Nothing in the paper mentions or deals with the age of the Earth in this first place; Wilson's estimate is of the age of the oil deposits, which everyone agrees are much younger than the Earth as a whole, and his estimates are consistent with the standard age of the deposits. Influx of Calcareous Ooze into the Ocean [DB 1507 (41); OAB 64] During a detailed study of sediment distribution in the Atlantic Ocean, M. Ewing, J.I. Ewing, and M. Talwani (Geological Society of America Bulletin, v.75, no.1, pp.17-36 (1964)) mentioned that their measurements of carbonate sediments indicated ocean-floor ages of about 2 to 5 million years, with some areas near the Mid-Atlantic Ridge appearing to be even younger. Since these ages were much younger than what Ewing considered to be realistic, he suggested that the rate of deposition of these sediments may have been much smaller in the past. Young-Earth advocates, on the other hand, have cited this paper as claiming that the Earth cannot in fact be older than 2 to 5 million years. The key to understanding this puzzle is to note the date of Ewing's paper. In 1964, the current theory of Plate Tectonics was undeveloped and unpopular. Ewing assumed that the age of the ocean floor was close to the age of the Earth as a whole, and thus he was not equipped to understand the implications of his measurements. In the 40 years since that time, modern Plate Tectonics has been confirmed countless times, and we understand that the ocean floor is in fact much younger than most continental areas, with the mid-ocean ridges being the youngest of all. Modern understanding of the ocean floor is perfectly in agreement with Ewing's measurements. Influx of Sediment into the Ocean [DB 1506 (10); OAB 78] This claim is based on observations of the thickness of sediments on the ocean floor. ICR author Stuart Nevins, in ICR Impact #8 (http://www.icr.org/pubs/imp/imp-008.htm), roughly estimates the amount of sediment on the ocean floor and the amount of sediment being delivered to the oceans by rivers. 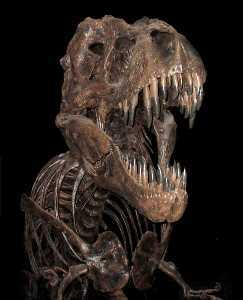 He arrives at the conclusion that it would only take about 30 million years for the observed sediment to accumulate. This estimate is probably roughly correct, but Nevins' conclusion that this number represents a limitation for the Earth's age fails to recognize the periodic recycling of the ocean floor (the other side of the One-Sided Equation). Due to Plate Tectonics, ocean floor is continuously created at mid-ocean ridges and subducted into the Earth's mantle at ocean trenches. This process moves at about an inch or two per year, so the average age of the ocean floor is in fact a few tens of millions of years, as Nevins estimated, and thus his result is completely consistent with old-Earth science. It is sometimes claimed that subduction only gets rid of 10 percent of the sediment being added to the oceans (D.R. Humphreys, Creation: Ex Nihilo, v.13, no.1, p.31 (1991)). This claim is made by comparing one researcher's estimate of the sediment being added to the oceans (V.V. Gordeyev et al, Doklady Akademii Nauk SSSR, v.238, p.150 (1980)), to another researcher's estimate of the amount of sediment being subducted (W.W. Hay et al, Journal of Geophysical Research, v.93, no.B12, pp.14933-14940 (1988)). Humphreys claims that, since Gordeyev's estimate is 25 times larger than Hay's, sediment must be added to the ocean much faster than subduction can get rid of it, and thus the lack of observed accumulated sediments remains a problem for old-Earth scientists. The fallacy in that statement is that Hay based his estimate entirely on the assumption that ocean sediment is in a steady state. Hay used his own calculation of the amount of sediment in the ocean, which is much less than Gordeyev's, to calculate the amount being subducted. If Hay had instead used Gordeyev's estimate of the sediment in the ocean, his estimate of the amount of sediment being subducted would have been correspondingly larger. In short, Hay's estimate was based on an assumption of steady state, and it does not make sense to compare his estimate with an alternate rate of accumulation in an attempt to prove that a steady state does not exist. Influx of Juvenile Water into the Ocean [DB 1506 (4); OAB 106] The claim is that the rate at which subterranean water comes to the surface from volcanoes, hot springs, and other vents could fill the ocean in 340 million years. This calculation seems to assume that all subterranean water originates inside the Earth and is coming out onto the surface for the first time. In reality, hot springs are largely fed by a recycling process. Water seeps from the surface into underground aquifers, where it sometimes comes into contact with a heat source and returns to the surface as a hot spring. Most volcanic water comes from ocean water that is dragged into the mantle with oceanic plates that are subducted under continents by plate tectonics. Once again, the young-Earth advocates have forgotten the other side of the balance: They assume that the amount of water coming out of the ground remains at the surface and builds up endlessly, neglecting to consider the large amounts of water going back into the ground. Influx of Salts and Metals into the Ocean via Rivers [DB 1506-1508 (15-19,42-68); OAB2] By citing measurements of the amounts of various chemical compounds3 in the oceans, and measurements of the rate at which rivers are adding those compounds to the oceans, it is claimed that a maximum age for the oceans can be derived. The answer here is twofold. Firstly, processes that remove these compounds from the oceans generally are not adequately accounted for. Secondly, because these measurements are difficult to carry out, their accuracy is not terribly high, so that, when removal processes are considered, a state of equilibrium is either within the margin of error or very close to it (Some recent young-Earth studies attempt to show that the claim is still valid even when removal processes are accounted for; however, overly optimistic assumptions about groundwater addition and statistical precision account for the remaining discrepency). Therefore, this claim is both a One-Sided Equation and an Unexplained Mystery. There are many processes that take salt out of seawater, including sea spray, high-temperature alteration of brine into albite at undersea hydrothermal vents, and deposition to the ocean floor. Precipitates on the sea floor will be swept clear periodically by plate tectonic subduction. It is also important to realize that there is a great deal that we do not understand about the deep ocean floor, due to the obvious difficulties in studying it, and it is likely that there are other important processes going on there that have yet to be discovered. For that reason, it is not very responsible to speak as if we knew for sure that there is no other process removing these compounds from seawater. D.R. Humphreys states that "as far as we know, the remainder [of these chemicals] simply accumulates in the ocean" (Creation: Ex Nihilo, v.13, no.1, p.31 (1991)). However, it is just as true (and much more responsible) to say that, as far as we know, the processes exist on the ocean floor that are keeping the concentrations of these chemicals in equilibrium, but we have not yet rigorously measured them. Another important point is that several of these "dating methods" published in young-Earth references give ages that are impossibly young from any perspective. For example, if this line of reasoning were valid, the amount of aluminum in the ocean would prove that the Earth was only 100 years old! In fact, if you look closely, the claims concerning Al, Pb, Ti, Cr, Mn, Fe, Th, and W all "prove" Earth ages less of than 2,000 years! Are we to conclude that the death and resurrection of Christ occurred before the Earth was created? Obviously this is not true. The failure to give "Earth-age limits" that are reasonable even from a young-Earth perspective demonstrates that this line of reasoning cannot be valid: processes which remove salts from the ocean have not been adequately taken into account. Note regarding oceanic abundances claim: One point of concern is the number of times that this claim is repeated in many young-Earth references. The claim that "the ocean has fewer chemicals in it than we'd expect if it were old" is really only one single piece of "evidence for a young-Earth". However, in both DB and OAB, this claim is repeated dozens of times, each time using a different chemical substance ("There's not enough Al...", "There's not enough Pb...", etc.). The resulting effect of this is that the total number of claims on a list of "evidences" is inflated. For example, since this claim is repeated 32 times in The Defender's Bible, it almost doubles the total number of claims in that reference. A few other pieces of "young-Earth evidence" are also repeated multiple times (each time with slight variation), with the effect of increasing the total number of claims, but none on as large a scale as the oceanic abundances. Of course, this would not be a topic of any concern whatsoever, except for if the fact that many young-Earth publications do make a big deal about the number of pieces of evidence that they claim support a young Earth. The argument is often made that "The number of pieces of evidence supporting a young Earth is greater than the number supporting an old Earth." There are other responses to that argument, but it is very important to realize that, if nothing else, the artificial inflation of the numbers by repeating the oceanic abundances claim renders this argument invalid. Over-Pressurized Oil Traps [DB 1506 (20); OAB 65; ICR Creation Online] Underground oil deposits are always under a great amount of pressure, due to the weight of the material overlying them. The pressure does not leak away from these deposits, because the surrounding rock is also buried under the same pressure, and thus it is not at all surprising that pressurized oil deposits are found. Some versions of this claim point to certain oil deposits that are found to be under greater pressure than would be expected from the weight of the overlying material. One paper reporting these observations (P.A. Dickey et al, Science, v.160, pp.609-615 (10 May 1968)) was written before it was fully realized how extremely impermeable some rocks (such as certain forms of shale) can be to water. It is now known that these over-pressurized deposits are completely surrounded and sealed by impermeable layers, due to underground faulting. The formation and retention of these over-pressurized deposits is no longer a mystery. Parentless Polonium-218 Halos [DB 1507 (24); OAB 70] Radiohalos are a well-known geological phenomenon. They are small disruptions of a mineral's crystal structure caused by the radioactive decay of an element in the crystal. The identity of the decaying element can often be determined because the energy released by the decay depends on what the element is. The claims of Dr. Robert Gentry, detailed in his book Creation's Tiny Mystery (Knoxville, TN, 37912-0067: Earth-Science Associates, 1986), concern certain isotopes of the element polonium, which are short-lived decay products of uranium-238. Gentry claims that certain rock samples contain polonium radiohalos but are missing any radiohalos from the "parent" element, uranium. Gentry's conclusion from his observation is that the rocks in question were created instantaneously, with the polonium already in place, thus explaining why no evidence of the "parent" uranium is present. Because of the short half-lives of the polonium isotopes (Po-218 has a half-life of 3 minutes), Gentry claims that this is the only way to bring the polonium into the crystal, while the crystal is solidified enough to preserve the radiohalo, before the polonium decays away. While it is true that these radiohalos are not fully understood by scientists, this does not mean that Gentry's hypothesis should automatically be accepted. Other scientists have contended that there are other possible explanations for the radiohalos, including a process called hole diffusion (see A.L. Odom and W.J. Rink, Science, v.246, pp.107-109 (Oct 1989)). A summary of evidence against Gentry's hypothesis was written by Kurt Wise, who doubts the validity of Gentry's methods even though Wise is himself a young-Earth advocate (K.P. Wise, Creation Research Society Quarterly, v.25, pp.171-176 (1989)). The death blow to Gentry's hypothesis is given by the geological setting in which his samples were found. A geologist named Jeffrey Wakefield, while investigating Gentry's claims, determined that some of his samples were not from primordial rocks at all, but from younger dikes (infusions of igneous rock into pre-existing rock) that crosscut older formations (see J.R. Wakefield, Journal of Geological Education, v.36, pp.161-175 (1988), or http://www.csun.edu/~vcgeo005/gentry/tiny.htm). A recent article defending Gentry (ICR Impact #326, http://www.icr.org/pubs/imp/imp-326.htm) conceded that some of the radiohalos are indeed found in younger rocks, feebly countering that not all of his samples are in that situation. However, that is beside the point, because if any of Gentry's radiohalos occur in samples that everyone agrees (even young-Earth advocates) were formed by natural chemical processes, then there must exist a natural chemical process by which the halos are formed. Polonium-218 halos are simply an Unexplained Mystery. It is true that we do not fully understand the chemical process that formed them, but we can safely adopt the working hypothesis that that process was natural rather than supernatural. Natural Plutonium [DB 1507 (29); OAB 68] The reference given for this claim is literally a single paragraph, without cited references, in the "news digest" section of Chemical and Engineering News (v.49, no.39, p.29 (20 Sept 1971)). The paragraph reports the detection of plutonium-244 in a natural ore sample by a group of American researchers. Noting the relatively short half-life of plutonium-244 (80 million years), the C&EN report wonders about production of plutonium by nuclear processes early in the history of the Solar System. The claim by young-Earth advocates that this report places an 80-million-year limit on the age of the Solar System is flawed in several ways. Firstly, a half-life of 80 Myr is very different from an age limit of 80 Myr. Since radioactive decay is not linear but exponential, small remnants of an element remain even after the half-life has expired many times over. In this case, the amount of plutonium left after 4.5 billion years (4500 Myr) would be about 10-17 of the original sample [to be precise, the calculation is (1/2)4500/80 = 10-17]. This is an exceedingly small amount, but not too small to detect in a sample that was initially very enriched. Secondly, the young-Earth advocates completely ignored the actual scientific paper referred to in the C&EN news item, which is by D.C. Hoffman et al (Nature, v.234, pp.132-134 (19 Nov 1971)). The very first paragraph of Hoffman's paper makes it clear that the detection of natural plutonium is not a challenge to mainstream cosmology. Calculations based on the abundance of thorium-232, a long-lived radioisotope with similar origins to plutonium-244, indicate that the global abundance of natural plutonium should be extremely low, but just high enough to still be detected in enriched ores. The final section of the paper also discusses at length the plutonium's origin. Indeed, it has become clear in the 30 years since Hoffman's article that natural plutonium is exceedingly rare, if it actually does exists at all. No one has ever duplicated Hoffman's measurement, and no one has ever reported another detection of natural plutonium. Not only does the existence of natural plutonium pose no challenge to an old Earth, it also brings up the question of why, if the young-Earth paradigm is correct, are there no genuine examples of this argument? Plutonium-244 is in the extreme with its short half-life among elements found in nature, and indeed its natural abundance is extremely low. No elements with half-lives shorter than plutonium-244's are found in nature at all, although many are observed in young stars and in man-made particle accelerators. On the other hand, every single known element with a half-life longer than plutonium-244's is found in nature. The obvious explanation for this phenomenon is that the Earth has been around long enough for the shorter-lived isotopes to decay away, leaving only the longer-lived ones. However, if the young-Earth hypothesis is correct, then this phenomenon is nothing more than a bizarre coincidence. Influx of Magma from Mantle to Form Crust [DB 1506 (5); OAB 47] and Erosion of Sediment from Continents [DB 1506 (11); OAB 26] In a seminal young-Earth reference book (Scientific Creationism, Santee, CA: Master Books, 1974), H.M. Morris claims that the current rate of volcanic activity would cause the continents to cover a far larger fraction of Earth's surface than we now observe, if it had been continuing for billions of years. Yet, a few pages later, he claim that erosion would wear down all the continents to sea level in much less than 4 billion years. The fallacy here is obvious: These two processes (assisted by others such as mountain uplift) counterbalance each other. You cannot cite each process separately as if it would build up without end. In fact, they are in equilibrium, and each process keeps the other from running amok. Leaching of Salts from Continents [DB 1506 (12-14); OAB 7,13,84] This is yet another One-Sided Equation. It looks at the processes taking certain elements (namely sodium, chlorine, and calcium) out of the continents, but ignores other processes (such as volcanism and hydrothermal activity) that replenish them. Mountain Uplift Rate [OAB 61] The claim is that Earth's mountains should be taller if the current rate of tectonic uplift has been maintained over long time periods. Of course, it is erosion that balances the process. River Deltas [DB 1507 (27); OAB 22] The claim is that the size and growth rate of river deltas proves that they cannot be very old. The error here seems to lie in thinking that the delta consists only of what are actually the very youngest delta deposits (the parts that still look like delta deposits). In fact, the Mississippi Delta, which is used by young-Earth advocates as an example, actually consists of a seven-mile-thick layer of sediment covering much of the south-central U.S. (by contrast, sedimentary rocks in most places on Earth are only one mile thick). The same is generally true at the Earth's other great river deltas. River deltas are actually a potent argument against the young-Earth hypothesis. Not only are the 7 miles of Mississippi delta sediments far more than could accumulate in 10,000 years (especially since delta deposits cannot accumulate underwater, and thus could not have been accelerated by Noah's Flood), but the observed sinking of the crust under the weight of the delta, which keeps the surface at sea level and allows the delta to continue forming, could only happen very slowly. River Canyons [OAB 74] It is pointed out that "the meandering serpentine course of many rivers and canyons cut through many layers of strata." However, it is not completely clear what conclusion is intended to be drawn from this observation, so I will cover two different possibilities. One argument that I have heard is that meandering riverbeds will not maintain the same channel long enough to dig deep serpentine canyons, such as the San Juan River in Utah, because periodic flooding will break through to a straighter course, creating oxbow lakes, as happens with the lower Mississippi River. In fact there are two reasons why the riverbed of the lower Mississippi is not stable, and these two reasons are not necessarily present for all meandering riverbeds. The first is that the Mississippi floods rather frequently, and the second is that the lower Mississippi riverbanks are made of relatively soft material (soil and shale). In Utah, flooding is not as frequent, so the river will have time to cut a deeper canyon. Also, the riverbanks in Utah are made of hard sandstone, not soft shale. Both of these factors will make it much harder for floods to break through to a straighter course. Not only are serpentine canyons easy to explain from an Old-Earth standpoint, they are virtually impossible within the Young-Earth model. A canyon formed in a short period of time by a huge torrent of water could not possibly be serpentine, because the flood would overflow the shallow meandering channel and form a more straight canyon. The only way for a river to be serpentine is for it to be flowing slowly (like the lower Mississippi River today), therefore a serpentine canyon can only be formed by a slow-flowing river. Since a slow-flowing river would take at least many tens of thousands of years to dig a deep canyon, these canyons cannot possibly be any younger than that. Another possible argument simply notes that many present rivers are cutting into sedimentary strata (A.W. Mehlert, Creation Research Society Quarterly, v.25, no.3, pp.121-123 (Dec 1988), as cited in OAB). Of course, since rivers change their course relatively frequently, especially near their deltas, I see nothing implausible in the theory that a river flowed through a certain area, laying down sedimentary deposits, then changed course to a different area, and finally returned sometime later to erode its own sediment. Tightly Folded Strata [OAB 89] It is well-known to geologists that, when temperatures and pressures are high, rocks will behave like an extremely high-viscosity fluid (kind of like Silly Putty, but even much thicker than that). You may know that, if you hit a piece of Silly Putty with a hammer, it will shatter just as a rock would do. However, you can bend Silly Putty around into shapes if you do it slowly enough, and rocks can do the same thing (although they require the bending to be as slow as many thousands of years, rather than a few seconds as it is for Silly Putty). If sedimentary rocks were buried, so that they were subjected to high temperature and pressure, and then folded by forces of plate tectonics, it is easily shown that folded strata could occur. By the way, the young-Earth claim (which supposes that these were sand layers that were folded before they hardened) cannot explain what force could have folded the layers in such a short time. Rapid Accumulation and Lithification of Sediment [OAB 79,80] The article referred to by OAB (from a 1975 issue of Creation Research Society Quarterly) claims that sediments are allegedly accumulating and lithifying so fast that 20,000 years will account for all the rocks we see. However, the only justification given for this claim are "unpublished calculations" by the author (ICR founder Henry Morris). After writing to ICR for more information, I was told that the calculations "refer to the amount of time that it takes cement to cure because this is analogous to sedimentary rock formation." This, in fact, is not a good analogy because cement contains components that cause it to harden much faster than any sedimentary rock. A simple excursion to your nearest riverbed, observing that the sediment is still sandy years after being deposited, will make it obvious that sediments do not harden into rock as quickly as cement. Continuous Rapid Deposition of the Geologic Column [DB 1506 (3)] Although it is true that many geological deposits can be laid down quickly, there are many which cannot. The majority of deposits still require long ages of deposition. Sand dune deposits, evaporites, and varved sediments are just a few examples. Furthermore, the common occurrence of "angular unconformities" demonstrates that the deposition of the geologic column could not have been continuous. Angular unconformities occur when strata are tilted with respect to each other, rather than lying horizontally one on top of the other. This is generally caused by tectonic processes tilting the lower layers before the higher layers were deposited, and a sharp angular unconformity proves that no deposition was going on while the tilting occurred; thus the deposition has not been continuous. "The Geologic Column Does Not Exist" The claim has often been made that "the geologic column is an idea, not an actual series of rock layers. Nowhere do we find the complete sequence" (Henry Morris and Gary Parker, What Is Creation Science? San Diego: Creation-Life Publ., 1987). This statement does have an element of truth, because nowhere in the world is there an unbroken record of all time from the creation of the Earth to the present. However, no such record is expected by anyone, for many reasons. Deposited layers can be later eroded away or destroyed in other ways, and drought can prevent layers from being deposited at all for long periods of time. However, the above statement is very misleading in that it insinuates that the geologic column is somehow a "figment of the evolutionist's imagination." The truth is that the geologic records all over the world are very well correlated with each other, not only with stratigraphy (i.e., which layer overlies which layer) and fossils, but with paleomagnetism, radiometric dating, and many other important factors, all of which fit together remarkably well. This does not mean that everything is completely understood (otherwise science would cease to exist), but it does mean that we have a very good handle on the stratigraphic record. Furthermore, using the criterion that Morris and Parker set for themselves, their statement is not technically true at all. They claimed the non-existence of any location where all 11 of the Phanerozoic periods of the geologic column are represented, while in fact there are now 23 such locations known, including the Williston Basin in North Dakota. Carbon-14 in Precambrian Wood [OAB 10] The reference for this claim is a book by Melvin A. Cook entitled Prehistory and Earth Models (London: Max Parrish, 1966). I wrote to the Insitute for Creation Research regarding this claim, and their response was as follows: "As you can see, this is a 30-year-old source, and it is out of print. We do not think this is good evidence anymore for a young earth. We do not think that there are any Precambrian wood samples. More recent publications, like the Defender's Study Bible, do not include this as a young earth indicator anymore." Carbon-14 in Meteorites [OAB 11] The paper cited here by young-Earth advocates (R.S. Boeckl, Journal of Geophysical Research, v.77, no.2, pp.367-368 (1972)) deals with the age of a certain class of meteorites known as tektites. One of the parameters mentioned by Boeckl while discussing this subject is the "terrestrial age" of the tektites, by which he means the amount of time that has elapsed since the tektite fell to Earth. Boeckl discusses "terrestrial ages" ranging from 10,000 to 500,000 years. Apparently, some young-Earth advocates misunderstood the "terrestrial age" in Boeckl's paper to be the age of the Earth, and cited his paper as limiting the age of the Earth to 100,000 years. Therefore, this claim seems to be based on nothing more than a misunderstanding. Although most young-Earth advocates have abandoned this unfounded claim, it has not yet ceased circulating in lists of "young-Earth evidences." Amino Acid Racemization Amino acids, the building blocks of proteins, are asymmetrical molecules and can be either "right-handed" or "left-handed". If left to itself, a pool of amino acids will naturally assume the most disorderly (highest entropy) state, which is half right-handed and half left-handed. This process is called racemization. All living organisms, however, artificially maintain themselves in a state of pure left-handed amino acids. When an organism dies, therefore, its amino acids slowly begin to change (racemize) from their pure left-handed state back to their natural state of half right-handed and half left-handed. Some scientists have proposed that, by measuring the rate of racemization, and the relative percentages of right-handed and left-handed amino acids, the death of the organism can be dated. Most scientists, however, reject Amino Acid Racemization Dating (AAR) as unreliable because the rate of racemization can be highly dependent on temperature and pressure, and can also be subject to contamination. Indeed, AAR has yielded some highly anamolous dates, such as assigning an age of tens of thousands of years to a fossil found in sediment hundreds of millions of years old, and some young-Earth advocates have seized upon these inconsistencies to cast aspersions on dating methods in general. Such claims, however, place a great deal more faith in the AAR method than is warranted. AAR differs from most other dating methods on one very important point: The process of racemization, which is a chemical process, does not proceed at a constant rate, but is highly affected by changes in temperature and pressure. Radioactive decay, on the other hand, is a nuclear process that proceeds with such extreme constancy that no relevent process is known to man to alter it. In fact, one of the main proponents of AAR (a group at the U of Massachusetts that performs the technique, http://www.geo.umass.edu/amino/aalintro.html) cautions that it is important to precisely ascertain the thermal environment of the sample over its entire lifetime before attempting AAR. Even Duane Gish of the Institute for Creation Research wrote about the extreme uncertainty of the rate of racemization (ICR Impact #23, http://www.icr.org/pubs/imp/imp-023.htm). Although some young-Earth advocates claim that the anamolously young dates given by AAR falsify the scientific old-Earth position. However, the truth is that Gish was right in the first place. Amino Acid Racemization Dating is a highly unreliable method that should not be used to support either a young-Earth or old-Earth position. Age of the Oldest Living Part of the Biosphere [DB 1506 (6); OAB 45] The fact that the oldest known living organism is about 5,000 years old does not prove anything about the age of the Earth. It only proves that we don't know of any organisms that are able to live longer than 5,000 years. Age of Human Civilizations [DB 1506 (7); OAB 3] It is true that human civilization is recent, although its age is closer to 10,000-15,000 years than to 4,000. Everyone, except the young-Earth proponents themselves, agrees that human civilization is much younger than the Earth itself, thus the age of human civilization does not affect the age of the Earth unless you assume a young-Earth view in the first place. That, of course, would be circular reasoning. Growth of Human Population [DB 1506 (9); OAB 37] It is claimed that the case for a young Earth is strengthened by the calculation that the current world population could be produced from only two people in 4,000 years, using the appropriate exponential arithmetic (Henry Morris, Scientific Creationism, 1987 edition, pp.167-169). The fallacy in this claim, of course, is that the human population has not been growing at a steady rate. This is a classic One-Sided Equation, failing to consider factors that limit the population. Human population is limited mainly by its ability to feed itself, and until the past few hundred years, that limitation (combined with humanity's lower ability in the past to cope with natural catastrophes) has kept the population steady and fairly low. Only recently have we had the technology to remove these environmental limitations, resulting in a population explosion. Therefore, it is not valid to extrapolate the current rate of growth, which is much less affected by its past limitations, back in time. Marine Fossils on Mountaintops [DB 1515 (71)] Due to the uplift of mountains through Plate Tectonics, many surfaces that are currently several thousand feet in altitude were once near sea level. Tectonic forces are easily powerful enough to accomplish this over millions of years. Therefore, the detection of marine fossils at such high altitudes is no great surprise, and does not necessarily provide evidence for global flood. Raised Shorelines and River Terraces [DB 1516 (82)] The weight of a glacier, or sometimes a deep lake, can form a depression in the Earth after only a few thousand years (the Earth's mantle has a viscosity much greater than "Silly Putty" but exhibits similar properties over timescales of several thousand years or more). Raised shorelines in Canada, Scandinavia, and Utah came about when such a depression was followed by removal of the weight because the glacier melted (or, in Utah's case, Lake Bonneville was drained). The depression then slowly rebounds, much like a depression made in a bowl of Jell-O will rebound after several hours. The rate of uplift, and thus the viscosity of the mantle, can be calculated by using various methods to date the shorelines, and the results are consistent around the world (adding to their credibility). Furthermore, shorelines near the center of the formerly depressed areas are now raised much higher than shorelines near the edges. This is expected from the isostatic rebound model, but it is inexplicable to the "Flood Geology" hypothesis, which assumes that all of the shorelines are vestiges of a single high water level. Evidence of Former Worldwide Warm Climate [DB 1515 (72)] We know from paleomagnetism (which is able to determine a rock's latitude at the time it solidified) and from plate tectonics that landmasses which are now at high latitudes (including Antarctica) were all much closer to the Equator at one time or another. Therefore, warm-climate fossils found in these places are not surprising, and do not necessarily provide evidence for a global pre-Flood tropical climate. Futhermore, fossil evidence of cold climates are found in areas that are now warm, also contradicting this claim. Polystrate Fossils [DB 1516 (87); OAB 71] Most so-called "polystrate fossils" are tree trunks that were buried as they grew by several layers of mud in relatively quick succession. That they were buried in place is attested to by the way in which their root systems often extend into the surrounding sediment. Far from supporting "Flood Geology," these buried forests (which often grew with many meters of supposedly Flood-deposited sediment below them) were recognized in the 19th century as strong evidence against it. Although some fossilized tree trunks may have been transported by water, rather than buried as they grew, this does not support "Flood Geology" either, since local floods could easily have accomplished the same task. Another well-known reported "polystrate fossil" was a whale skeleton that was supposedly oriented vertically on its tail, cutting perpendicularly through hundreds of feet of strata. It turns out that this story was much distorted through re-telling, and that in fact the whale and the strata both dipped at the same angle of 50 degrees from the horizontal. So the "whale on its tail" was not even a "polystrate fossil" at all. Human Footprints in Cretaceous Sediments [DB 1517 (96)] Although there are several claims of fossilized human footprints in "old" sediments, none is as credible (relatively speaking) or has received as serious consideration as the prints in the Paluxy Riverbed near Glen Rose, Texas. At this location, supposedly human footprints are interspersed with undisputed dinosaur footprints. Yet upon closer consideration, even the Paluxy footprints are highly disappointing for young-Earth advocates. The "human" footprints are too far apart to fit the stride of humans, and the footprint size is also too large. Many of the "human" prints show dinosaur features like claw marks, and most damaging of all, some trails of "human" prints continue as a path of near-perfect dinosaur prints. 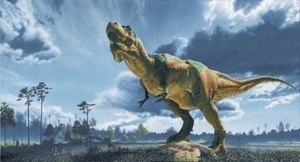 Recognizing the overwelming evidence, ICR president John Morris admitted in 1986 that the Paluxy footprints are probably not human but are eroded dinosaur footprints (ICR Impact #151, http://www.icr.org/pubs/imp/imp-151.htm). However, many young-Earth advocates, including many at ICR, unfortunately are still reluctant to give up on this now-discredited claim. Absence of Evidence of Drainage Systems in "Old" Sediments [DB 1517 (98)] Ancient riverbeds are very difficult to find and identify for two reasons. The first is that they are often eroded beyond recognition before they are buried, and the second is that they are relatively small compared to the vast size of the geologic strata burying them. For these reasons, we would not expect for very many ancient riverbeds to be discovered. On the other hand, the claim stated here, that no ancient riverbeds exist, is false -- some have been found. One example is a riverbed that was found by researchers using seismic "sonar" to search for oil (AAPG Explorer, June 1993, p.14). Within a layer of limestone, 1670 feet below the Texas prairie, the researchers found a meandering channel in which the limestone had been eroded away. In summary, although we do not expect to find many of them due to the difficulties involved, buried ancient riverbeds are known to exist, contrary to this claim. Modern Sightings of Noah's Ark on Mount Ararat [DB 1517 (100)] No confirmed piece of evidence has ever come to light supporting the existence of remains of Noah's Ark on Mt. Ararat in Turkey (the Sun Pictures documentary that aired on CBS in 1993 was later found to be a hoax). In fact, the Bible doesn't even say that Noah's Ark landed on Mount Ararat, rather it says that it was in "the mountains of Ararat" (Genesis 8:4), which is a much larger region containing many lower-elevation hilly areas. Since the Ark would have been made of very high-quality wood in order to be able to withstand the stresses it was subjected to (given the dimensions described in Genesis), it is hard to imagine that it wasn't dismantled for building materials. In conclusion, no hard evidence has ever been given that Noah's Ark is in fact in Turkey, and reasoning from the Genesis account, it shouldn't be expected to be there anyway. This fact sheet is mainly concerned with exposing false lines of reasoning that are used to support the young-Earth hypothesis. Whatever one's view of the Genesis account may be, as Christians who have renounced all dishonesty and craftiness (II Corinthians 4:2), we must face up to the fact that the young-Earth hypothesis has no basis in the scientific evidence. Before closing, I will briefly mention many of the lines of evidence that indicate that the Earth and Universe are ancient. However, since this is not the focus of this fact sheet, I cannot cover the subject in detail. Further information can be found in many sources, including the books Creation and Time by Hugh Ross (http://www.reasons.org) and A New Look at an Old Earth by Don Stoner (http://www.answers.org/newlook). An excellent discussion, dealing specifically with the evidence for an old Earth, is a set of notes by Hill Roberts entitled Evidences That Have Led Many Scientists to Accept an Ancient Date for Creation of the Earth and Universe (http://lordibelieve.org/page15.html). For many people, the idea of an ancient Earth is inextricably linked with an Evolutionary Origin of the Species. In fact, the charge is often repeated that the only reason people take old-Earth positions is because of a commitment to Evolution. On the contrary, it is important to recognize the historical fact that the evidence for an ancient Earth was recognized by geologists as early as the late 18th century, more than 50 years before Darwin published his theory. Most of these geologists were Christians who struggled with the implications of their discoveries on their faith, yet could not deny the evidence that they saw before them. Today, many Christians are similarly driven by evidence to an old-Earth view. I will now briefly outline some important lines of evidence for an ancient age for the Earth and Universe. For more detail, please see the references cited above, especially Roberts' notes. Observed large formations that could not have formed quickly River delta deposits cannot form underwater, and thus could not have been acccelerated by Noah's Flood. The rate of coral reef growth is inherent in the organisms that build the reef, and also would not be affected by Noah's Flood. Both are observed in volumes that would take at least hundreds of thousands of years to accumulate. The formation of stalactites in caves requires small amounts of water, increasing the flow of water will stop the carbonate precipitation rather than increase it (quick-forming stalactites under artificial concrete structures are due to an entirely different chemical process). A 3-meter stalactite would take 30,000 years to form. In addition, the cooling of large underground granite batholiths, as well as the formation of metamorphic rocks, requires much more than 10,000 years. Continuous records of various Earth processes Annual layers in ice deposits in Greenland, and especially in Antarctica, are observed which give records of the climate in the year each layer was deposited. The upper layers of these deposits correlate with other methods of measuring recent climate, but from there the layers continue to give a continuous record of the yearly climate for the past 160,000 years (see C. Lorius et al, Nature, v.316, pp.591-596 (15 Aug 1985); J. Jouzel et al, Nature, v.329, pp.403-408 (1 Oct 1987); J.M. Barnola et al, Nature, v.329, pp.408-414 (1 Oct 1987)). Among the many discernable patterns, the 26,000-year climate cycle due to the precession of the Earth's rotation axis (that is, the Earth "wobbles" like a top, and the rate of its 26,000-year cycle can be calculated from physics alone) is clearly visible throughout the 160,000-year record. This refutes the young-Earth claim that perhaps the lower layers of the ice cores were built up quickly due to large precipitation rates from Noah's Flood. A young-Earth attempt to explain away this evidence (ICR Impact #226, http://www.icr.org/pubs/imp/imp-226.htm) talks mostly about issues that are irrelevent to the Antarctic data, and its only attempt to challenge the above-cited data is to quote a statement from 1972 that deeper annual layers are more difficult to measure, a difficulty that was solved by superior technology by 1985. It is important to note that, if this is a case of "apparent age", God would have not only created these layers for no apparent reason, but would have "written" into the ice a climate record that cannot be trusted. Such a theory results in serious difficulties with the truthfulness of God. A similar situation applies to sedimentary varves (annual layers from lake sediments). Varves in Utah's Green River Formation give several million years of unbroken history. Evaporite deposits, in which one layer is formed each time a shallow body of water is evaporated dry, also contain records at least hundreds of thousands of years long. Finally, paleomagnetism, the science that studies the reversals of Earth's magnetic field as recorded in rocks, has worked out a consistent history of Earth's magnetic field stretching back hundreds of millions of years, correlated across the entire globe. Formations that could not form underwater According to the prevailing young-Earth hypothesis, all sedimentary rocks are the result of Noah's Flood. Yet several kinds of deposits are found inter-bedded with sedimentary rocks that could not possibly form underwater. These include sedimentary varves, glacial deposits, evaporite deposits, and sand dune deposits. Record of shorter days in the past One species of rugose coral forms both daily and yearly layers. Specimens of this coral from Devonian strata (360 to 410 million years old) show that the Earth's year was 400 days long when the coral was alive! This is a dramatic confirmation of both Planetary Science and Geology (see Deceleration of the Earth by tidal friction, above), but inexplicable for the young-Earth hypothesis. Radioisotope Abundances All radioactive isotopes with half-lives greater than 75 million years are found on Earth, while not a single radioactive isotope with a smaller half-life is found in nature (except for a few which are found as decay products). This supports the claim that the Earth is old enough for the shorter-lived isotopes to have decayed away (which takes many times the half-life), but it would be a strange coincidence indeed if the young-Earth hypothesis were correct. Furthermore, we have very clear evidence that several of these short-lived radioisotopes did in fact exist early in the Solar System's history (aluminum-26 being the most abundant and well-known). Since Al-26 is known to have existed in the past (due to detected excesses of its decay product, Mg-26, in ancient meteorites), and has completely decayed away since the beginning of the Solar System, the age of the Solar System is demonstrated to be at least many times the half-life of Al-26 (which is 26,000 years). Among the radioisotopes for which the same argument applies are hafnium-182 and palladium-107, with half-lives greater than 10 million years. Radiometric Dating Problems with radiometric dating techniques are greatly overstated by most young-Earth advocates. They often cite isolated instances of implausible dates, but these are generally caused by obsolete dating methods, contamination that a good scientist would detect (and which does not affect the large majority of dates), or by attempting to date materials that are younger than the dating method's margin of error (using radiometric methods to date recent Hawaiian lavas or living sea creatures, for example, is akin to using an unmarked yard-long stick to measure the thickness of a human hair). Most modern radiometric dating uses the isochron method, which measures several different samples (and sometimes different decay paths) and correlates them. The isochron method basically cross-checks itself constantly, and results that do not represent real ages will fail the isochron tests. Consequently, the isochron method does not require any assumption about initial amounts of parent and daughter elements (a common young-Earth objection to radiometric dating). An important consideration with the isochron method, however, is to know what it is that you're dating. Plotting several samples on an isochron will tell you how long ago the samples were separated from one another. For samples from the same lava flow, this will give you the age of the lava flow. But for samples from different flows, there can be a residual isochron giving the age of the melting event in the Earth's mantle from which the flows were derived. This is exactly what ICR geologist Steve Austin measured in the Grand Canyon. He claims that Rb/Sr isochron dating of lavas at the top of the Grand Canyon gives ages older than Grand Canyon basement rocks (ICR Impact #224, http://www.icr.org/pubs/imp/imp-224.htm). However, since Austin's samples came from several different flows, he could not have been dating the age of a single flow, rather he was dating the magma chamber beneath the Grand Canyon, from which all of the flows came. Although Austin claims that his "anomalous ages" cast doubt on radiometric dating in general, the fact is that geochemists often use the same method Austin used to date melting events much earlier than the formation of the flows themselves. For a more detailed discussion of ICR's "Grand Canyon Dating Project," see Stassen (1999), http://www.talkorigins.org/faqs/icr-science.html. Another common objection to radiometric dating is that addition or removal of parent or daughter elements may have occurred. However, in most cases this would leave tell-tale chemical clues that scientists could detect (and indeed this frequently happens), and furthermore such contamination could not possibly account for all of the world's radiometric measurements, which are in good agreement. Finally, radioactive decay rates are known to be constant under all relevant physical conditions. The fact is that, although radiometric dating is imperfect like any other science, there is tremendous overall agreement among radiometric ages, as well as with stratigraphic (relative) ages, giving very strong circumstantial evidence for the reliability of radiometric dating methods. For a general overview of radiometric dating, see Radiometric Dating: A Christian Perspective by Christian geologist Roger Wiens (http://asa.calvin.edu/ASA/resources/Wiens.html). Star Distances It is extremely evident from astronomy that our Universe is billions of light-years across, and thus that light from distant stars has taken billions of years to reach us. One method of accurately determining star distances uses Cephid variable stars, which have a known relationship between brightness and pulse rate. This relationship is explained by physics, and verified (calibrated) by measuring all Cephid variable stars whose distances are close enough to confirm by parallax. Therefore, the actual brightness of a Cephid variable star can be determined by its pulse rate, regardless of how far away it is. And, of course, if a star's actual brightness and measured (apparent) brightness are known, its distance can be calculated from a simple equation (apparent brightness decreases as one over the distance squared). This and many other methods verify Hubble's law describing the expansion of the Universe, with the beginning (Genesis 1:1) between 10 and 20 billion years ago. Attempts by young-Earth proponents to explain these facts have been unavailing. Norman and Setterfield's proposal of decay in the speed of light is easily shown to be invalid (Roberts, Ross, and Stoner all deal with this), as is Humphreys' attempt at a young-Earth cosmology (see Conner and Ross (1999) http://www.reasons.org/resources/apologetics/unravelling.html). Another explanation, that the Universe was created with "appearance of age" is both un-scientific at its core (if all the evidence that we see for age is fabricated, then why even have this debate? ), as well as having theological problems with the truthfulness of God, since in that case we are constantly observing events in the cosmos which in fact never occurred (see Brain Teaser: SN1987a, http://lordibelieve.org/page16.html, for an illustrative example of this point). 1In response to a question that I asked, an ICR apologist wrote the following to me: "I talked to Dr. Morris about the differences in the charts [of young-Earth evidences], and he said that in general, the ones that were not published in the more recent lists (like the Defender's Bible) were not as strong as they once were. New evidence has either put the interpretation into question or has changed the amount of time it would take or has shown that there is not a uniform process that can be extrapolated back in time." 2The points in OAB comprising this argument are numbers 1-2, 4-6, 8, 12, 14-16, 20, 34, 39, 43-44, 46, 48, 51, 55, 63, 73, 75, 81-82, 85, 92-93, 98-100, 102-103, and 107. 3DB cites the following compounds: carbonate, sulfate, chlorine, calcium, uranium, sodium, nickel, magnesium, silicon, potassium, copper, gold, silver, mercury, lead, tin, aluminum, lithium, titanium, chromium, manganese, iron, cobalt, zinc, rubidium, strontium, bismuth, thorium, antimony, tungsten, barium, molybdenum. In addition to those just mentioned, OAB includes bicarbonate. SOURCE: Is There Really Scientific Evidence for a Young Earth? Colossians 2:8 — "Beware lest any man spoil you through philosophy and vain deceit, after the tradition of men, after the rudiments of the world, and not after Christ."